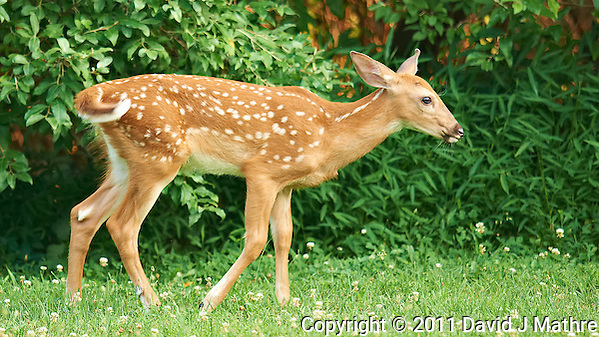 Blue-Eyed Fawn. Another hot summer evening in New Jersey. Each of my tomato pots on the deck took 2 gallons of water. 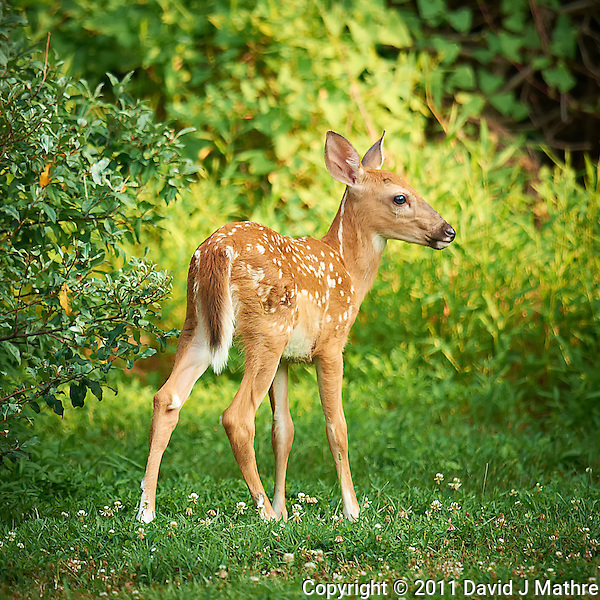 As I was sitting out on my deck I took some images of a young fawn, a grey cowbird, and Harvey the backyard rabbit. All were taken with a Nikon D3x camera and 600 mm f/4 VR lens. Because the D3x camera has a 24 MP sensor, I was able to do significant crops and still retain lots of detail. I will break this into 3 posts (one for each animal) because of the number of images. 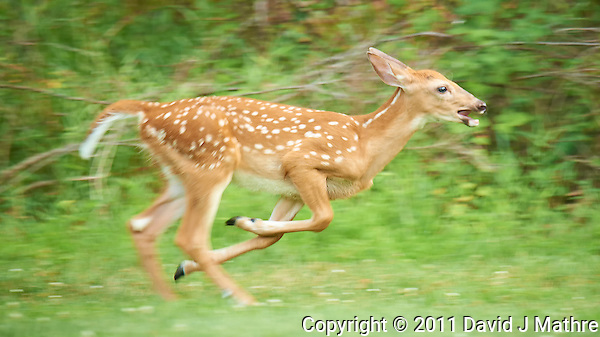 The sky reflection makes this fawn look like it has blue eyes. It also have very long whiskers and eye lashes. 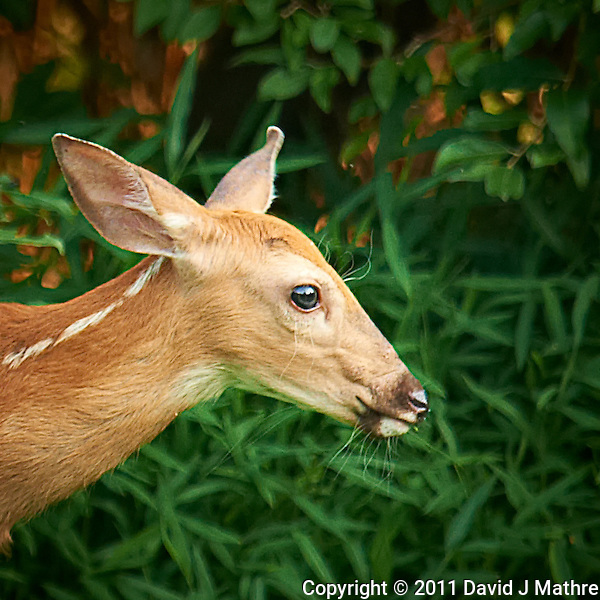 Blue Eyed Fawn Head Crop. Backyard Nature in New Jersey. Image taken with a Nikon D3x and 600 mm f/4 lens (ISO 400, 600 mm, f/4, 1/400 sec). Image processed with Capture One 6 Pro, Nik Define 2, and Photoshop CS5. Blue Eyed Fawn. Backyard Nature in New Jersey. Image taken with a Nikon D3x and 600 mm f/4 lens (ISO 400, 600 mm, f/4, 1/400 sec). Image processed with Capture One 6 Pro, Nik Define 2, and Photoshop CS5. 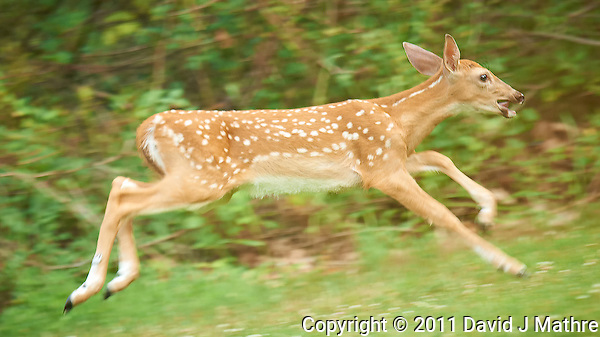 Blue Eyed Fawn Running. Backyard Nature in New Jersey. Image taken with a Nikon D3x and 600 mm f/4 lens (ISO 400, 600 mm, f/4, 1/250 sec). Image processed with Capture One 6 Pro, Nik Define 2, and Photoshop CS5. Blue Eyed Fawn. Backyard Nature in New Jersey. Image taken with a Nikon D3x and 600 mm f/4 lens (ISO 400, 600 mm, f/4, 1/250 sec). Image processed with Capture One 6 Pro, Nik Define 2, and Photoshop CS5.